Private jet charter Austin from Houston Jet Charter, your source for 24 hour private aviation services in Southwest Texas, across the United States, and around the world. Austin is an inland city bordering the Hill Country region, and serves as the state capital of Texas. It’s by far the coolest city in Texas: there’s a reason why the city’s slogan is “Keep Austin Weird”, and you’ll have no problems finding live music downtown, especially during the mega music event SXSW. It’s also the fastest growing city in the United States, and thanks to its it’s geographical and political position, it’s home to a thriving aviation community. Book a private plane or helicopter and fly private jet charter to Austin, TX. Call or email our Austin Jet Charter brokers to get an outstanding deal on private jet charters in Austin, Texas. Our team arranges private flights to/from Austin with on-demand air charters in as little as 4 hours notice. Our private air charter services extend across the United States and around the world, with free no-commitment quotes, competitive hourly pricing, and no fees, memberships, or hidden charges. Call +1-888-987-JETS (5387) for pricing and availability on Austin private jet charter flights. Houston Jet Charter utilizes the following airports to fly clients privately to/from Austin, Texas and surrounding areas of the Lone Star State. Below you will find a list of the top luxury hotels in the area for your next vacation or business trip. Many of our private jet charter clients would agree that these are some of their top hotel choices when traveling to Austin, Texas. Deciding what to do can present a problem in the form of too many options, so Houston Jet Charter’s created a list of the best attractions in town. Read on for more. The below list are some of the top attractions to check out after your private flight to Austin, Texas. As the capital of Texas is a popular destination for government and corporate charter flights. When choosing a charter broker, you want to work with a company that has your best interests in mind. Our Austin Jet Charter brokers are Wyvern Certified, meaning our safety parameters and due-diligence processes meet and exceed those set forth by the FAA for private charter flights. All of the aircraft we use are FAR Part 135 or 121 certified, and we carefully review the latest Wyvern PASS reports to give you peace of mind when arranging your private flight. Many of our clients that own an aircraft or work for a company with its own corporate flight department find our supplemental lift service to be beneficial when mechanical issues arise, or their fleet has booked simultaneous trips – we can arrange a charter flight in as little as 4 – 6 hour if necessary. If your client has a business meeting, government conference and other event in Texas, call to speak with one of our private aviation specialists to arrange your charter flight to Austin, Texas. Request a FREE charter quote by calling us at 1-888-987-5387. 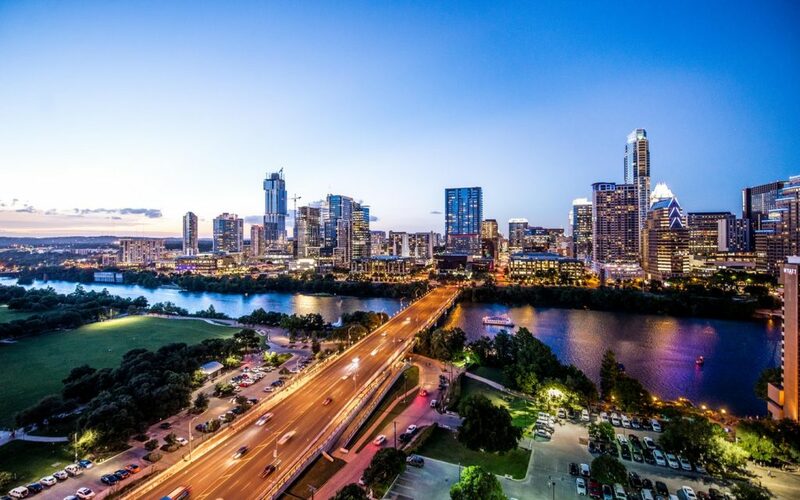 Enjoy direct access to private jets, turboprops and airliners based in Austin, Texas complete with all-inclusive quotes, competitive hourly rates, and the highest levels of safety.